Skulls make excellent planters for Cacti! 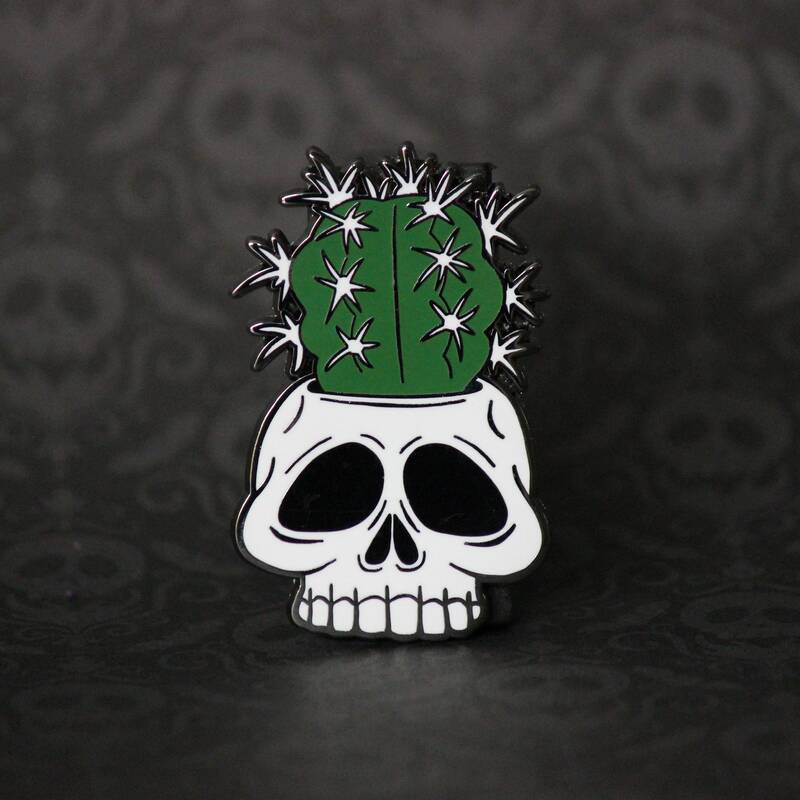 Each hard enamel pin is 2" in size and is set into shiny gunmetal grey metal. International customers will be responsible for their own Customs Taxes/Fees, should any arise in the shipping/handling process.